Raidlight Desert Top offers sun protection, is light and is particularly well suited for high activity desert adventures and particularly popular for ultra runners and participants in events such as the Marathon des Sables MDS due to the desert shirts specific characteristics. The Desert top long sleeved shirt has unmistakable technical assets being ultra light weighing in at only 90g (3.1 Oz) and offers excellent comfort thanks to its stretch veil and fluid cut. The zip offers a great addition allowing runners to take advantage of any prevailing breeze in the heat of the day. As specialists in Desert Trail Running, Raidlight is the only brand to have developed an outfit specially designed for desert racing! 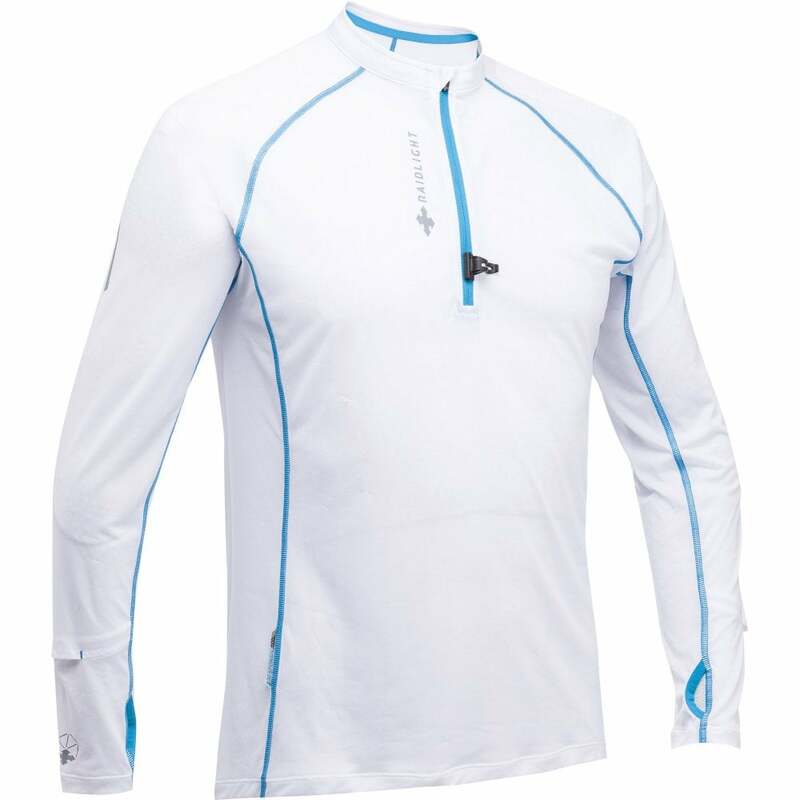 The Raidlight Desert Shirt is a must for ultra runners seeking to test themselves in the extremes. Providing optimum sun protection and a loose fit, the Desert Shirt offers exceptional comfort in hot conditions thanks to the lightness of the material, but also effective protection against the sand with a very tight mesh developed specifically for this purpose. A myRaceKit customer favourite for MdS!